Yesterday I shared my tips for deciding to DIY your wedding flowers; today I’m back to share more information on where to buy wholesale flowers, when to order flowers for your wedding, and how to create your wedding bouquets and centerpieces. There is no shortage of sources for buying large quantities of flowers for your wedding. Many online wholesale flower companies offer free shipping and secure delivery through FedEx or UPS. If you live in a city that has a flower market, you also have the option of picking out your flowers in person. 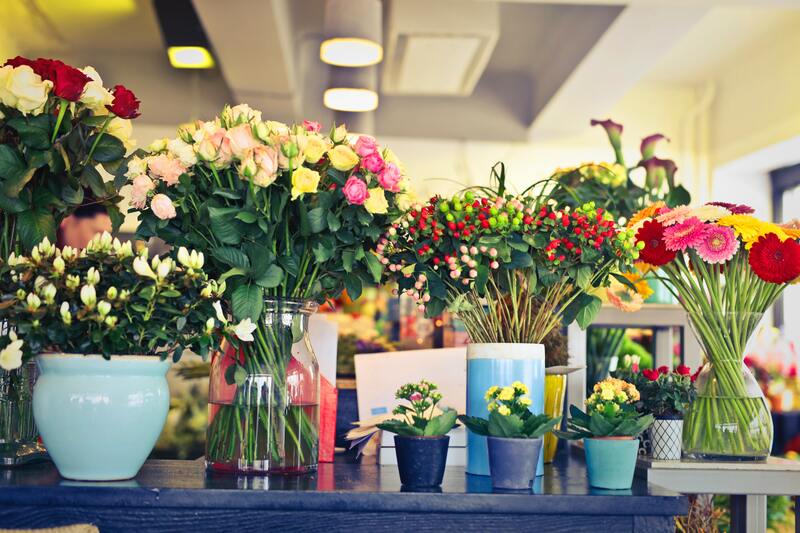 Here are a few options for where you can buy flowers in bulk. 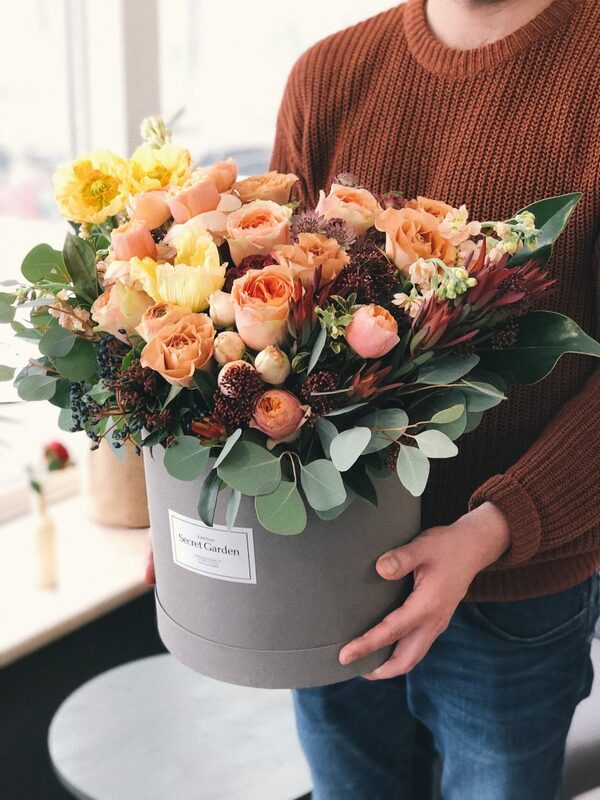 If you are sourcing from a local flower market, know that its stock may vary from week to week and work with the manager to determine when you should place your order so they can accommodate your requests. Most online wholesalers prefer you to order your flowers one month in advance of your wedding, but many will accommodate orders with as little as a week’s notice. The timing of your flower order really depends on how fresh the flowers are, what kind of flowers you’re using, the weather, and what your wedding week timeline looks like. Because we ordered from an online wholesaler, our flowers were cut within a week of the wedding, allowing us to have them delivered on Thursday morning, assembled Thursday evening, and still be fresh on Saturday afternoon for the wedding. (FYI, the flowers you see in the grocery store were likely cut several weeks ago and may not last as long.) Some flowers are sturdier than others and naturally last longer, while others are sensitive to heat or cold, so take these factors into account when you are thinking about how far in advance to work with your flowers. If you don’t have a lot of experience with arranging flowers, head to the grocery store or your local florist a few weeks before the wedding, pick up some flowers, and practice arranging a few bouquets or centerpieces! It will give you peace of mind for when it’s time arrange the flowers for your wedding. If you don’t have an opportunity to practice, be sure to give yourself enough trial and error time the day of. Make sure you have buckets, a good pair of scissors or garden snips, floral tape, and floral wire on hand. The buckets should be clean (to avoid accidentally poisoning the flowers) and filled with cool water. Buy more tape and wire than you think you will need; you can always return extra supplies after the wedding. And the floral wire is especially helpful for flowers with delicate stems, like anemones and wildflowers. 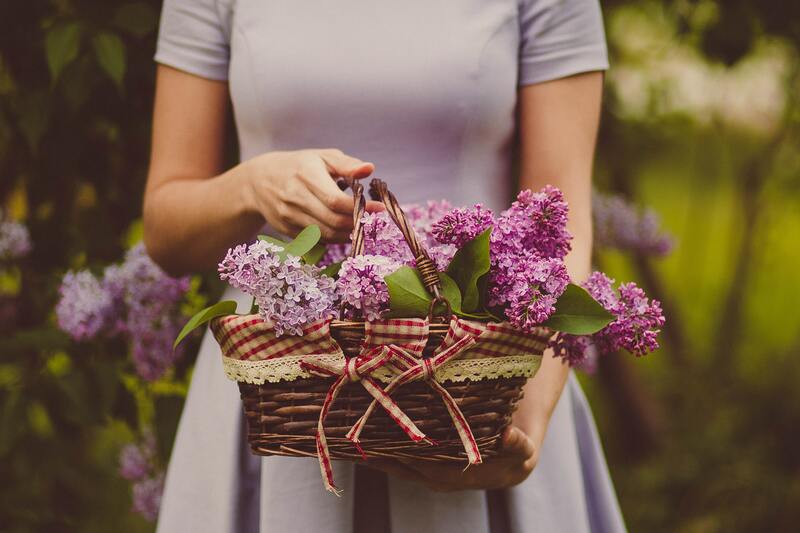 Once you pick up your flowers or have them delivered, trim the ends, get them in water right away, and let them sit for a few hours so they can perk up. This is especially important if they have been in transport. Depending on the size of your DIY project, you will likely want to recruit a few helpers. To avoid extra strain on the flowers, assemble and store them in a cool place away from direct sunlight (refrigeration isn’t a must). So…how did it turn out? Overall, we’re glad we decided to go with DIY flowers for our wedding. It saved us a lot of money and allowed us to have a lot more flowers than we would have had otherwise. The bouquets looked pretty in pictures and lasted as long as we needed them to, which was all I could ask for! Even though it added more work to our wedding week and required some advanced planning, DIYing our flowers was a great decision for us. Get more flower power on Loverly! Which Flowers Should You Top Your Cake With?